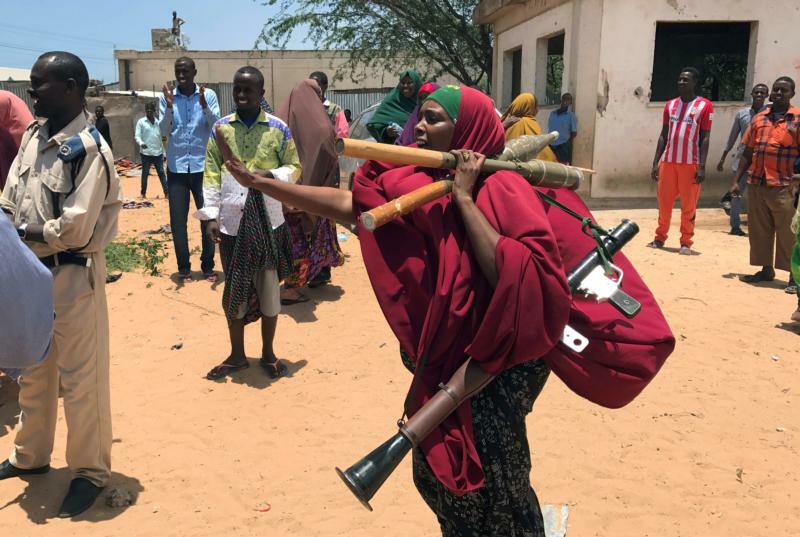 NAIROBI, Kenya (CNS) — As it loses its grip in the Middle East, the Islamic State is finding a foothold in Somalia, said a bishop who oversees the Catholic Church in the troubled country. The insurgent group — linked to mass killings, abductions and beheadings in Iraq and Syria, where it is facing defeat — see Somalia as a suitable base due to its lawlessness, Bishop Giorgio Bertin, apostolic administrator of Mogadishu, Somalia. “I think they have chosen Somalia because there is no central authority. The country also represents a good possibility for them to continue their search for an Islamic state or, at least, they can continue their ideology without many obstacles,” Bishop Bertin told Catholic News Service. Somalia has experienced chaos since 1991, when warlords overthrew President Mohammed Siad Barre. The conflict remains one of Africa’s longest civil wars. But in 2006, the war took a different twist with the emergence of the al-Shabab extremist group, which swept across the country, enforcing a radical form of Shariah (Islamic law). Since then, the country has served as the traditional base for the militants who are the al-Qaida network affiliate in East Africa. The emergence of the Islamic State faction will complicate the scenario in an already fragmented country, Bishop Bertin said. The faction is based in Puntland state in northeastern Somalia and is believed to be recruiting. Foreign fighters fleeing Iraq and Syria are joining the faction, as well as former al-Shabab fighters. The insurgents initiated attacks in 2016 and 2017 while receiving funding from Islamic State in Syria and Iraq, according to the U.N. Monitoring Group on Somalia and Eritrea. The U.S. military launched an airstrike on the militant bases in November, but Bishop Bertin called on the international community to coordinate their efforts against the new group. “Unfortunately, some (international) actors may want to use the group for their own gains,” the bishop warned. “The church cannot intervene. It can only pray and advise. … The government should simply try to reconcile with the Somali population by giving good services,” he said. While there are almost no churches in Somalia — after the only one in Hargeisa closed in 2017 because of threats — churches in neighboring Ethiopia and Kenya present possible target for the militants, the bishop said. In the past, al-Shabab has attacked churches, public places and government institutions in Kenya. Some Kenyan Catholic priests have watched the developments with interest. Recently, there were reports of young Kenyan Muslims pledging allegiance to Islamic State. “We cannot rule out they have some interests here (Kenya) as well. We have no evidence of their existence, but we know terror groups share ideology, secret purchase of weapons and distribution,” said Father Wilybard Lagho, vicar general of the Archdiocese of Mombasa, Kenya. Father Alfred Muriithi, who ministers in the border town of Wajir, Kenya, said local people believe al-Shabab has left, but they still hear of terror attacks. “I think another force could be facilitating these attacks,” he said, without mentioning Islamic State.